If you’re just picking up a foraging basket for the first time, what a truly special moment. I’m willing to bet that getting to know your local food and medicine plants (and bringing them home to your kitchen and apothecary) will be one of the most meaningful experiences of your life. 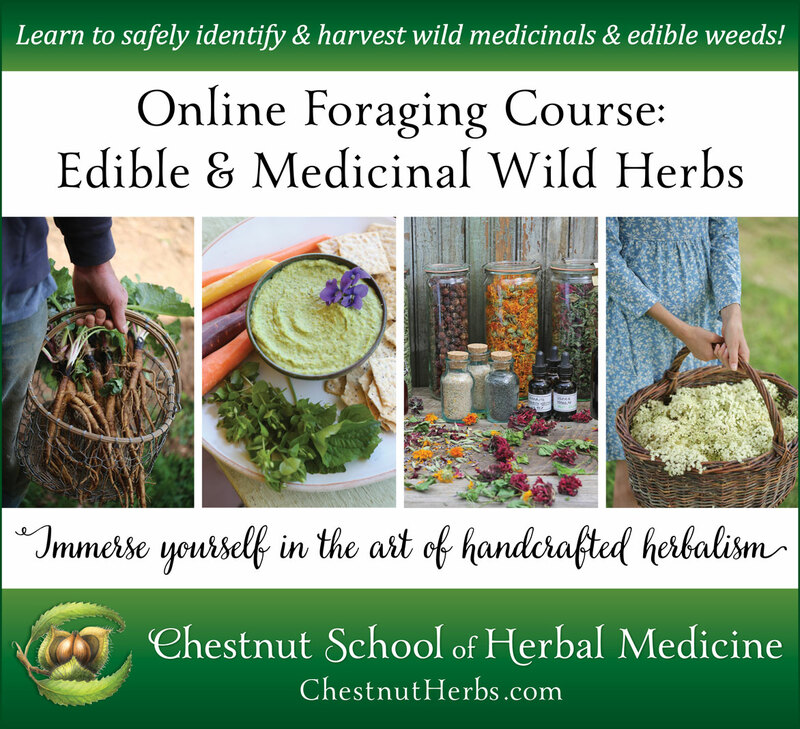 When I first began foraging my own food and medicine, I focused on a particular array of plentiful, generous, and nourishing plants—the wild weeds, the common flora, and the invasives. I strongly encourage you to do the same! These plants are some of our most superb medicinal allies and nutrient-dense wild foods. And these feral botanicals continue to be my main squeezes: non-native, “weedy” medicinals and wild foods are the most sustainable options out there. And to sweeten the deal, they grow prolifically throughout the temperate world, so they are easy to find and befriend. Believe me, making connections with these plants is a bit like working a magic spell—one that reveals a generous landscape literally blooming with food and medicine. Please note that this article is introductory in scope—we won’t be discussing plant identification, and we’re just scratching the surface on medicinal uses and safety information. Depending on where you live, there may be different look-alikes than those that are listed in the article. We’re hoping to whet your appetite with these botanical vignettes—you’ll need to learn more before you can safely harvest these wild foods and medicinals. Therefore, the bulk of the botanical and herbal detective work will be up to you! Find a couple field guides relevant to your region by searching our book list. Find a local foraging and/or plant identification teacher, if possible. Remember, there are deadly poisonous plants and mushrooms out there: one wrong move could be your last. Have fun and be safe—which means being 110% sure of any plant’s identification before you nibble or harvest. Chickweed is one of my oldest green friends—we became acquainted over two decades ago, and I’m as smitten as ever. This sprawling weed is beloved among wild foods enthusiasts for its succulent mild flavor. It’s one of the best wild foods for beginning foragers, as it’s tasty and fairly easy to identify. Harvest chickweed with scissors, cutting back the top few tender inches, which generally includes some leaves, stems, flowers, and buds. After receiving a “haircut,” the plant grows tender new shoots, making it possible to repeatedly harvest until it gets too leggy and chewy. One of my all-time favorite ways to enjoy chickweed’s delectable leaves is in pesto. The leaves can also be added to salads and used in lieu of lettuce on sandwiches and in tacos, burritos, and wraps. Chickweed tea is often recommended as a daily tonic, along with red clover (Trifolium pratense) and burdock (Arctium lappa and A. minus), for acne, psoriasis, and eczema. It is a classic spring cleansing food and infusion. Related Species and Look-Alikes: Chickweed’s close relative, mouse-ear chickweed (Cerastium fontanum), is quite similar in appearance and grows in similar habitats. It’s also edible, although not as tasty (as it’s more fibrous and hairy). Chickweed may also be confused with the non-edible Persian speedwell (Veronica persica) and scarlet pimpernel (Anagallis arvensis). Contraindications: Chickweed contains moderate levels of dietary oxalates, which can reduce mineral uptake from food and increase kidney stone formation. This is generally not an issue, as chickweed is also high in calcium, which balances the effects of the oxalates. You may want to avoid chickweed if you are prone to kidney stones. Not only are violets spritely springtime charmers, they are also highly nutritious wild edibles and versatile medicinals, with countless topical and internal uses. Children seem to have a special affinity for this charismatic group of plants, perhaps because their bright flowers are well within reach. Violets grow in lawns, gardens, sidewalk cracks, and along trail sides. The leaves and flowers can be harvested with scissors in a “haircut” style. I enjoy fresh violet leaves and flowers in salads, pestos, sandwiches, and wraps—and sautéed or steamed. I also like to stir them into soups as a nutrient-dense thickener. The flowers make a lovely garnish—try sprinkling them on salads, cakes, and pancakes. Violet has a rich tradition as a springtime tonic, anticancer folk herb, and pulmonary remedy for dry hacking coughs. The leaves contain a good bit of mucilage or soluble fiber, and thus are helpful for lowering cholesterol levels (similar to oatmeal) and restoring healthy populations of intestinal flora. Topically, violet is used as a poultice, compress, infused oil, and salve in the treatment of dry or chafed skin, abrasions, insect bites, eczema, varicose veins, and hemorrhoids. For more information on how to prepare violet as food and medicine, and a discussion on different violet species, check out our blog on Violet’s Edible and Medicinal Uses. Related Species and Look-Alikes: The Viola genus contains around 550 species. Most wild foods authors report that the blue- and white-flowered species of violet are all edible, but not the yellow-flowered species. There are rare species of violet, so do your research on each violet’s abundance. The leaves of crowfoot (Ranunculus abortivus) and golden ragwort (Packera aurea) resemble violet leaves and are sometimes confused. Only harvest when violet is in flower so you can be sure of your identification. Don’t use the roots of any violet species, as they are emetic. Dandelion is a classic medicinal in our beloved food-herb tribe and can be used safely as a tonic remedy over a long period of time. Despite its familiarity, dandelion is one of the plants I see misidentified over and over—so be sure to check out its look-alikes below! The roots and leaves have some overlapping medicinal applications, but they are distinct medicines, each with their own therapeutic benefits. Dandelion root is a classic liver and blood tonic and has long been used to aid conditions like eczema, psoriasis, acne, and hives. Clinical studies demonstrate that dandelion is strongly anti-inflammatory and antioxidant. The leaves of dandelion are exceptionally nutritious, with higher levels of iron, riboflavin, and vitamin E than any of our commonly cultivated greens. The tender spring leaves are edible, both raw and cooked, but I’ll let you know here and now that they are bitter. I like to mix them with milder greens in salads or steamed with other vegetables. 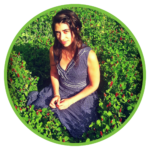 Learn more by checking out our dandelion sample lesson from the Online Herbal Immersion; head over to Dandyland and watch the lesson here. Dandelion leaves can be harvested for medicine whenever they’re green and vital. If you’re gathering the leaves for food, the early spring greens are less bitter than summer greens. The roots are best harvested in the fall. Related Species and Look-Alikes: Chicory (Cichorium intybus) and cat’s-ear (Hypochaeris radicata) are sometimes mistaken for dandelion. Wild lettuce (Lactuca spp.) and sow thistle (Sonchus spp.) may also be confused with dandelion when they’re in their vegetative state. My treatise on dandelion has more information about identification, including its look-alikes. Download it here. Contraindications: Because dandelion leaf is a powerful diuretic, it will enhance the effects of pharmaceutical diuretics. Although rare, people have experienced contact dermatitis from the topical use of dandelion. People who are allergic to bee pollen or honey have a high likelihood of reacting to dandelion pollen, and therefore should avoid ingesting the flower or any preparation from the flower that would contain pollen. This celebrated herb is an emerald queen who proudly reigns over her realms—food and medicine—with vim and vigor. Nettles is packed with vitamins, minerals, and chlorophyll—this vitality infuses into nutritive herbal teas, vinegars, and medicinal foods. Nettles is a supreme blood builder, nourishing tonic, and herbal ally for fasting and cleansing. It is one of the best herbs to take daily when you feel tired or depleted. Use nettles greens anywhere you would use spinach or kale. The sting is disarmed when the leaves are dried or cooked. Nettles grows close to humans and waterways—it thrives in open, fertile ground. You’ll find it growing in floodplains, forest edges, ditches, hedgerows, along open trail sides, and around old farms, especially in barnyards with compost and manure piles. When harvesting for medicine, wait until the plants are knee-high and pick before they flower. Wear thick clothing that covers arms and ankles and use leather gardening gloves. Use a scythe or similar tool for large-scale harvesting, and use pruners or kitchen scissors for smaller yields. Only wild-harvest nettles from clean locales, as they are adept at bioaccumulating heavy metals and other toxins. If plants are growing in the floodplains of polluted waterways, there is a good chance their leaves will have accumulated some of the toxins found in the water. Related Species and Look-Alikes: Two North American species of plants—false nettles (Boehmeria cylindrica) and nettle-leafed vervain (Verbena urticifolia)—closely resemble stinging nettles but lack the characteristic stinging hairs. The wood nettle (Laportea canadensis) is a close relative of stinging nettles and is also edible, although it’s not used medicinally in the same fashion. Other species of stinging nettles in the Urtica genus can be used medicinally or as food; consult a local wild foods expert or herbalist to learn about regional varieties. Raspberries and blackberries can be used interchangeably as food and nutritive beverage teas, but medicinally they have different uses. Raspberry is a classic herb for nourishing pregnancies and bringing them to fruition—the leaves are a pregnancy tonic that has been employed by midwives for centuries. Related Species and Look-Alikes: There are hundreds of Rubus species and subspecies, all of which can be used for food and medicine. Get to know your local varieties, as there are likely several. Most herbal books list red raspberry (Rubus idaeus) as the official medicinal species, but you can use any species of raspberry for medicine, including wineberry (R. phoenicolasius), black raspberry (R. occidentalis), and American red raspberry (R. strigosus). All roses have edible petals and hips that are profoundly nutritive. Roses with pink and red petals are especially high in bioflavonoids, carotenoids, and anthocyanins, and contain as many (if not more) antioxidants as green tea.8 Rosehips are one of the most concentrated sources of vitamin C in the world and are a blood-building tonic. To enjoy, pull rose petals from the reproductive parts and add them to salads, smoothies, fruit salads, and salsas. They make a show-stopping garnish on birthday cakes, and the dried and powdered petals are beautiful when dusted over homemade truffles. One of my favorite ways to use the blossoms is to add them to berries when making jam—this fanciful addition turns any fruit preserve into an alchemical delicacy. In the summertime, I combine the beautiful fresh flowers and flower buds with hibiscus (Hibiscus sabdariffa) and mint (Mentha spp.) to make a cooling and refreshing herbal iced tea. Rosehips are delicious in tea, brandies, compotes, and so on. Take care to gather flowers only from organic rose bushes or those that are growing wild in clean locations, as roses are one of the most heavily sprayed plants in gardens and commercial farms alike. Along these lines, absolutely avoid using bouquet roses from florists as food or medicine. Related Species and Look-Alikes: Note that there are many plants with rose in their name that are not related to the true roses (Rosa spp. ), and are thus not used as medicine or as food in similar fashion (some are poisonous!). These include Lenten rose (Helleborus spp. ), rock-rose (Cistus spp. ), rose mallow (Lavatera spp. ), and others. Precautions and Contraindications: Rose is cooling and drying and can aggravate cold and dry constitutions if taken regularly. Black walnuts are a delicious late summer wild food; the nuts, encased in thick green hulls, begin pinging down from the trees in August. I’ll admit, these nuts take a bit more processing than your average foraged food, but they’re worth it. Gather freshly fallen nuts, remove the husks, then allow the nuts to dry, which “cures” them. When removing the hulls, you’ll want to wear gloves, or you’ll wind up with a persistent yellow-brown stain on your hands. The fresh, green hulls can be powdered, decocted, or tinctured for a medicine that is helpful topically for athlete’s foot and other fungal skin infections. The leaves in tea or tincture form are beneficial for some disorders of the GI tract—particularly leaky gut and malabsorption of food. Black walnut is a classic folk remedy for cleansing the digestive tract of internal parasites like pinworms. The hulls can be boiled to make a beautiful brown dye. Later, cracking the nuts and picking out the nut meats will keep you (or any children who happen by) occupied for hours. I recommend using a hammer and doing your cracking outside. The nuts are delicious in breads, cakes, pies, and pestos. You can also whip up a decadent black walnut butter by blending with coconut oil and maple syrup. Related Species and Look-Alikes: Black walnut is a relative of the classic English walnut (Juglans regia), though its flavor is distinctly more unusual. Black walnuts may be confused with butternuts (Juglans cinerea), whose nuts drop at the same time. Butternuts are also edible and delicious. Precautions and Contraindications: Do not use the tincture or decoction of black walnut hulls internally during pregnancy or breastfeeding. Chinese chestnuts are a common yard tree in the southern Appalachians, and can easily be found in the fall, when their spiny burrs and nuts fall from the trees. Most people who have them growing in their yard do not pick and eat their chestnuts, and are happy for you to take them away. After gathering, wash the nuts in large buckets and discard the floaters, taking care to repeatedly stir the water. You can then eat the steamed or roasted chestnuts out-of-hand, or add them to soups, stews, chilis, and so on. We generally freeze the peeled chestnuts, and sometimes dry them. The boiled and mashed nut meats, mixed with butter or coconut oil, make a delicious and hearty crust for pie or quiche. Chestnuts are a particularly “starchy” nut, with more carbohydrates and less fat than other nuts. Related Species and Look-Alikes: Take care not to confuse Chinese chestnuts with horse chestnuts (Aesculus hippocastanum) or buckeye nuts (Aesculus glabra), which are poisonous. Chinese chestnuts are distinct from American chestnuts (Castanea dentata) and chinquapin trees (Castanea pumila), which have been strongly affected by the chestnut blight in North America. Precautions and Contraindications: Chestnuts cause gassiness in many folks. Burdock root is one of my most esteemed nutritive allies, competing heavily with my passion for stinging nettles (Urtica dioica). Delicious and strengthening, burdock is a classic food herb whose flavor is earthy and sweet—somewhat like a carrot or parsnip. It can be prepared in a similar vein to other root vegetables by steaming, boiling, or roasting. Medicinally, burdock supports the primary cleansing systems of the body: the skin, kidneys, liver, lymph, and GI tract. Both Traditional Chinese Medicine and modern clinical studies demonstrate that burdock is high in antioxidant activity. In my eyes, burdock is one of the true hunks of the plant kingdom. Big and handsome, with a whopping taproot, it has been blessed with a crush-worthy combination of strength and charisma. It prospers in many places—in old fields and grazing pastures, farm and garden beds, parks, backyards, and anywhere the earth has been turned up and disturbed. You’ve likely encountered its infamous burrs—seed heads that cling stupendously well to clothing, animal pelts, and hair. These appear in late summer and are a sticky memento of burdock’s ubiquitous presence. Dig first-year roots (before a flowering stalk appears) in the fall or early spring. Related Species and Look-Alikes: Burdock species are frequently confused with the cockleburs (Xanthium spp. ), which are major weeds of row crops and pastures in temperate and subtropical regions around the world. Some folks confuse broad-leafed yellow dock (Rumex obtusifolius) with burdock. Also, be sure not to mistake garden rhubarb (Rheum rhabarbarum) for burdock—their leaves are strikingly similar. It’s important to note the difference because though rhubarb’s delicious stalk is edible, its leaves are poisonous—containing dangerously high concentrations of oxalic acid. Lamb’s quarters is one of the most common and widespread weeds on the planet. It’s also one of the most nutritious greens ever analyzed, outcompeting many common vegetables in vitamin and mineral content. With tender edible greens packed with vital nutrients and edible seeds, it’s no wonder humans have both foraged and cultivated this nutritious plant for hundreds of generations. The choicest parts are the fresh tips—the top few nodes of tender leaves. They can easily be pinched off by hand. The succulent greens of lamb’s quarters can be used in any dish where you might otherwise use spinach or Swiss chard. They can be eaten raw, steamed, sautéed, or added to soups and stews. I enjoy them in lasagna, omelets, quiche, and cold pasta salads. The sky’s the limit with this pleasant green! To preserve the bounty, you can blanch and freeze the greens or freeze a batch of pesto or pâté. Related Species and Look-Alikes: The various species of Chenopodium can be hard to differentiate—use a local field guide to identify your local species. Several species of hairy or black nightshade (Solanum nigrum, S. villosum, S. physalifolium, and S. sarrachoides)—common garden weeds—could ultimately be confused with lamb’s quarters. These species of nightshade can be toxic in larger doses, so it’s important to be able to differentiate them. Tobyn, G., Denham, A., and Whitelegg, M. The Western Herbal Tradition: 2000 Years of Medicinal Plant Knowledge. Elsevier Health Sciences, 2010. American Herbal Products Association’s Botanical Safety Handbook, 2nd ed. CRC Press, 2013. Gladstar, R. Herbal Healing for Women. Simon & Schuster, 1993. Hakkinen, S., Heinonen, M., et al.“Screening of selected flavonoids and phenolic acids in 19 berries.” Food Research International. 1999. Wang, S., and Lin, H.S. “Antioxidant activity in fruits and leaves of blackberry, raspberry, and strawberry varies with cultivar and developmental stage.” Journal of Agricultural and Food Chemistry. 2000. Mills, S., and Bone, K. The Essential Guide to Herbal Safety. Elsevier Health Sciences, 2005. Vinokur, Y., Rodov, V., et al. “Rose Petal Tea as an Antioxidant-Rich Beverage: Cultivar Effects.” Journal of Food Science. 2006;71:S42–S47. Barnes, J., Anderson, L., and Phillipson, D. Herbal Medicines. Pharmaceutical Press, 2007. Previous Post Previous post: Why am I so tired?